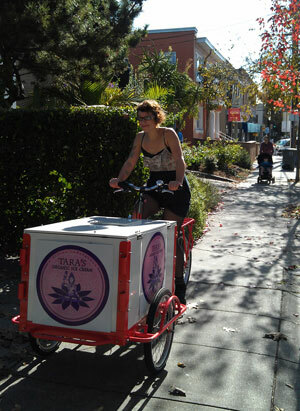 The TRIKE is serving TOIC ice cream cups, Gluten Free I.C. Brownie sandwiches, and Ice Cream Pops around Lake Merritt on Saturdays and Sundays. Weather permitting. Also on Telegraph 5 - 9PM the First Friday of every month. T.O.I.C. is made in small batches and flavors change weekly.